Makeup lets our heart beat a little faster. Logically, of course, but there are always those items that we're in love with. The I Heart Revolution Blushing Hearts definitely belong here! This series of highlighters offer an incredibly strong glow, look super cool and are also a mega cheap! Have you not discovered them yet? Check quickly what all the advantages of these highlighters are and place your favorite in your shopping cart! Which I Heart Revolution Blushing Heart is your favorite? 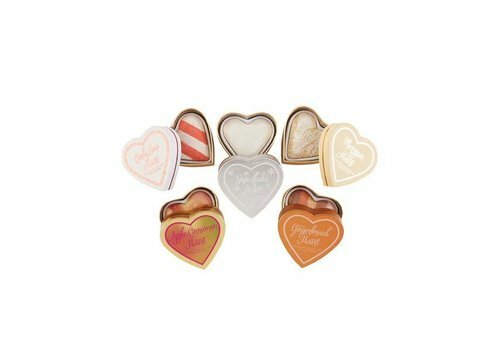 The I Heart Revolution Blushing Hearts are a must for every beauty addict! They are great in use; once you have tried them you can not live without them! Do you dare to go crazy with your highlighter? Then the Unicorns Heart is really perfect for you! 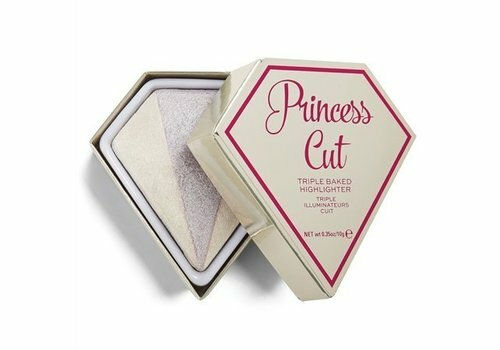 This highlighter gives you no less than 5 highlighters in various pastel shades, so you can vary. Do you prefer a more natural, but spectacular highlighter? The Goddess of Love collection will certainly win your heart. With the different shades that the I Heart Revolution range contains, there is always a highlighter that will change your world! Want to buy I Heart Revolution Blushing Hearts? Order at Boozyshop then! Time to let it glow, babe! With the I Heart Revolution Blushing Hearts you are guaranteed to steal the show. Blind everyone with your favorite - and most cute! - highlighter of the moment! Do you want to enjoy our benefits? Order for more than € 30! Then you get a free gift from us! How nice is that? Fast shopping bae !! !